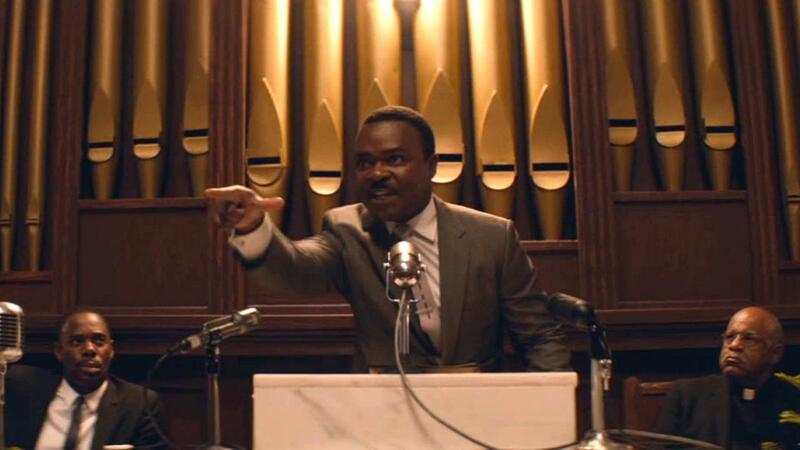 SELMA might serve as a 128 minute history lesson. It tallied a remarkable 99% score on the review site aggregator Rotten Tomatoes. The ‘might serve’ would be for people who don’t read, don’t know any history, don’t know anything about the 60s and Civil Rights, don’t remember Martin Luther King, Lyndon Johnson or George Wallace—including—oh, yeah.. how they sounded. That RT gave it universal hosannas doesn’t say much about the movie, but it does indicate that not only are most of the people going to movies under thirty, most of the people writing about them must be as well. Put another way: if you took the Must-Respectfully-Applaud-From-Guilt factor from Schindler’s List and Brokeback Mountain and changed the costume design, you get Selma. Too harsh? Hey, make it Saving Private Ryan and Apollo 13, then. If I’m being manipulated, I at least want to believe it—Gandhi. Braveheart . That’s all too bad because (1) the history is important and the figures are fascinating (2) the telling could/should be loaded with possibilities (3) the telling here gets marks for sincerity, not for delivery (4) this might be the last Big-Screen shot–and they muffed it. Hold the bricks—it’s not a bad movie: it’s just disappointing, and being so absurdly over-praised doesn’t cover its flaws. It starts quite effectively, with the famous and shocking 1964 bombing of the 16th Street Baptist church and murder of little girls. The other passages of violence—the brutal police and bystander assaults—are vivid and painful: the sound unit makes you feel every blow. 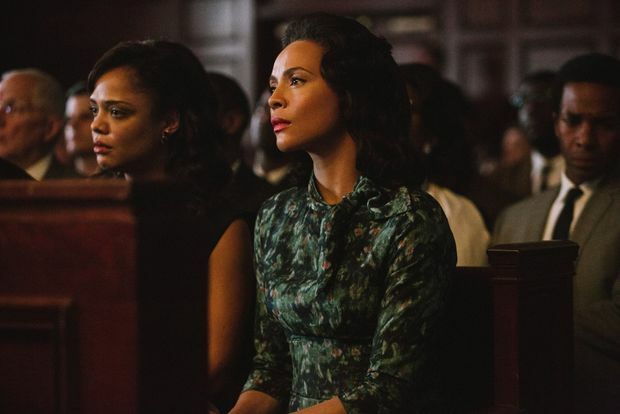 Carmen Ajego handily convinces as Coretta Scott King. Henry G. Sanders as a proud and victimized elderly man is moving and Stephen Root as a slimy Wallace henchman is hissable. Emphatic co-producer Oprah Winfrey reminds us how good an actress she is with her brief but powerful moments. Welcome bits from Wendell Pierce and Giovanni Ribisi. All good…. Otherwise, the casting and performing tanks. 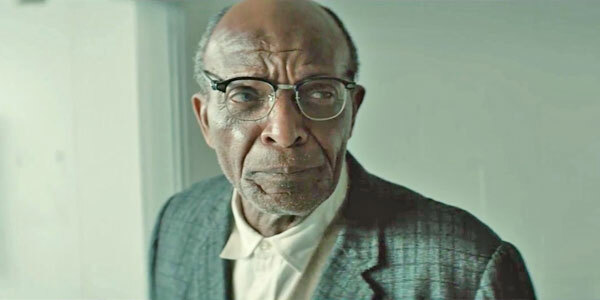 Direction, by Ava Duvernay, plods: the script is one labored, push-obvious speech after another. I don’t mean the unavoidable public pulpit speeches, but throughout—talk— as in ordinary conversations between two characters all announce “Written!” The lectern lectures, from King and Johnson, don’t come off at all, (director Duvernay re-wrote 90% of credited Paul Webb’s screenplay, including her own variations on King’s words—FAIL) and that’s because David Oyelowo as MLK and Tom Wilkinson as LBJ totally miss the cadence of their familiar (at least to anyone who remembers them) legendary models. Oyelowo was the guy Spielberg saddled with that embarrassing opening scene in Lincoln, as the Corporal dressing down the President (utter hogwash). He’s an okay physical match for King, but in avoiding impression versus interpretation he doesn’t register King’s passion or any of the vocal lilt. 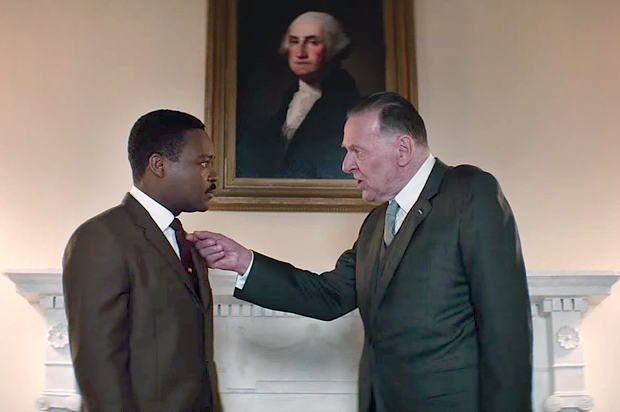 Wilkinson’s LBJ accent comes and goes: all he gets of Johnson is height and reasonable facial resemblance. Dylan Baker made a perfect smarmy racist in The Long Walk Home ( a great Civil Rights movie) but he is all wrong as J.Edgar Hoover. 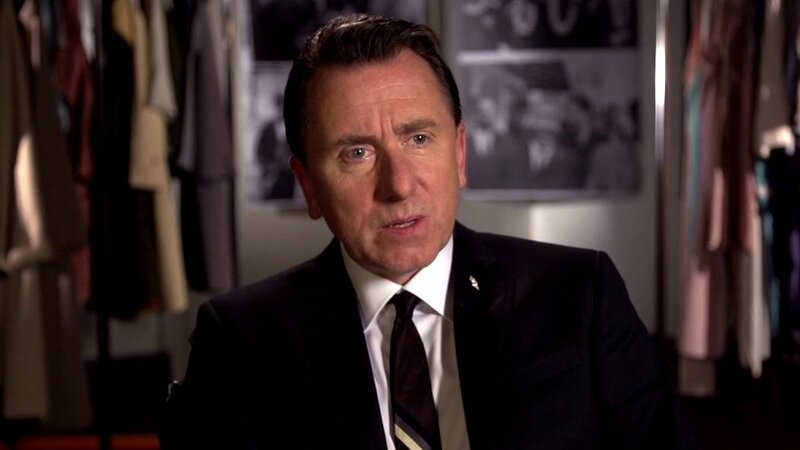 Completing the mismatching is Tim Roth as George Wallace—sorry, not even close enough to warrant ‘close, but no cigar’. Martin Sheen and Cuba Gooding Jr. show up late and the effect is “look, there’s Martin Sheen and Cuba Gooding,Jr!” What, no Susan Sarandon or Alec Baldwin? Smaller roles: the rednecks and crackers that something like Mississippi Burning captured, down to the beads of sweat from swilling Dr. Pepper’s, are indifferently sketched here. All the threat comes from the sound effects. Atmosphere is lacking. The movie took the Oscar for Best Song (Best Yawn) and was elbowed onto the Best Picture roster with no other nominations. Cinematography and score are no more than serviceable: best technical work comes from the sound unit. One script/directorial choice that works well is the inclusion of graphics showing the FBI’s monitoring of King & associates: shades of Orwell that now are directed at all of us, every time we contact anyone, over anything. Makes you feel ‘free’…. The $20,000,000 production was a modest success, earning $60,000,000. With Andre Holland, Stephen James, Common, Nigel Thatch, Stan Houston. They deserve a better movie.